We’re excited to share that Wands is now available on Xiaomi Mi VR. The Chinese equivalent of Oculus Go. Easily enter the beyond in Wands with no PC or wires attached. Wands is a first person VR experience that offers fast paced magic duels against other players online. Equip your wand with a wide variety of spells and battle other Wielders for fame, power and glory in the realms of The Beyond. 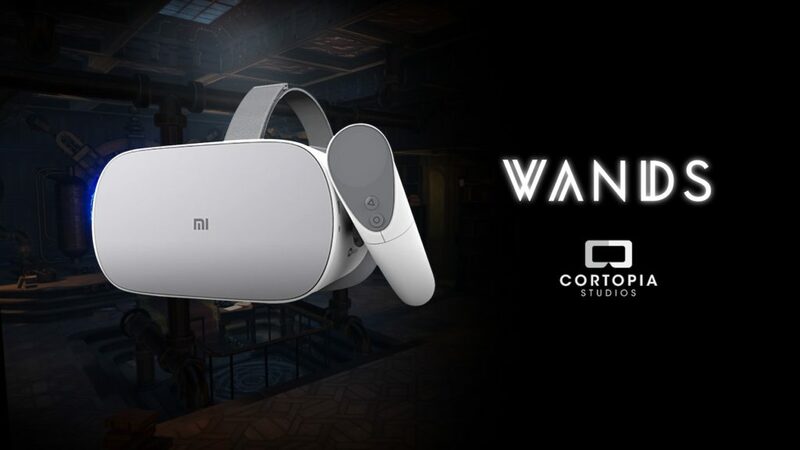 Wands is available for Oculus Go, Oculus Rift, Samsung Gear, Mirage Solo with Daydream, Google Daydream, HTC Vive (Viveport), Steam VR (Oculus Rift, HTC Vive), Pico and Xiaomi Mi VR. Built by the original team behind WANDS, award-winning Cortopia Studios is based in Stockholm, Sweden and is led by CEO Andreas Skoglund who joined the company earlier in 2017 after previously having worked at DICE and Electronic Arts as a producer on the Battlefield and Battlefront franchises. The hero title, WANDS is a key focus – but the studio has also hinted at plans to use the company’s unique position to drive innovation for VR and AR technologies. The post Wands is now available on Xiaomi Mi VR appeared first on Cortopia Studios.